The staff at Weston Movers are dedicated to providing their customers with quality service at an affordable price. We always strive to make any move as stress free as possible. We take great pride in being your one stop shop for all your packing, moving and storage needs. With over 20 years of experience in the moving industry, Weston Moving has been providing quality service to all of Southern Florida at the lowest possible prices. The team at Weston Movers will provide all of the support and supplies that you could possibly need. We can assist you in planning and packing a move of any size or distance. Let our highly trained personnel move you to or from Broward, Palm Beach or Dade County to anywhere in the state of Florida or nationwide. Weston Movers performs free, no obligation, on site estimates. We will provide you with a written quote that contains a cap limit. This cap limit will never be exceeded so you know ahead of time the maximum your move will cost. With a full range of services like packing, moving and storage, we will provide you with an accurate, low price for all the services you require. At Discount Weston Moving we do this every day so we are equipped with the accessories and the knowledge to make any move stress free and as efficient as possible. Compare service and prices. Do some investigating to make sure the company that you hire is dependable and has a solid reputation. Once you do this we feel pretty certain that you will find Weston Movers the clear choice. 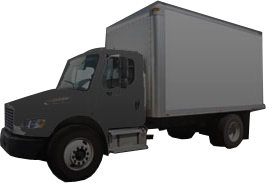 Weston Movers are fully insured, licensed and bonded in the state of Florida. Our south Florida Relocation team will always strive to surpass all of your expectations and provide you with quality service and peace of mind. All this at the lowest prices around.